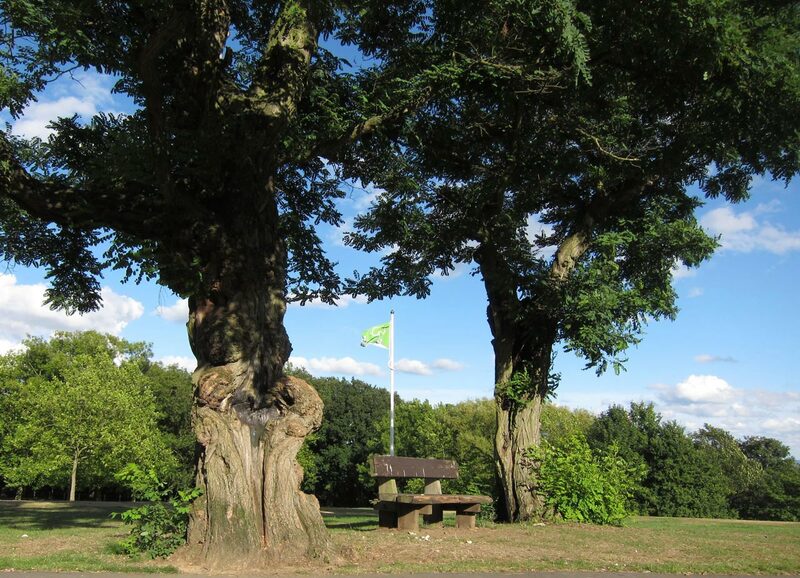 One of our members, Andy Brockman, who is a Shooters Hill based archaeologist, is providing a free walk on Friday 17 July 2015 starting at 7.30pm. If you are interested, please meet at the car park off Plum Lane. He says, “your journey aboard the Walking Time Machine will last approximately one and a half hours and twelve thousand years, taking in the Bronze Age, London’s first Open Air School and the Battle of Britain. Families and well behaved dogs are welcome. This event is part of the Council for British Archaeology Festival of British Archaeology. 19th July, at 10am: Local birds. John Beckham will be leading the walk around the park and pointing out the local birds. Meet at the Garland Road entrance and bring binoculars if you have them. 25 July, at 3pm: Butterflies. John Denton will be showing us the different butterflies in the park. Meet at the Green Chain sign on Dothill (at the bottom of the concrete path that leads from the car park). Bring binoculars if you have them. The “Walking Time Machine” is part of the 25th Festival of Archaeology which is co-ordinated by the Council for British Archaeology. There are over a thousand events taking place across the country between the 11th and 26th July 2015. 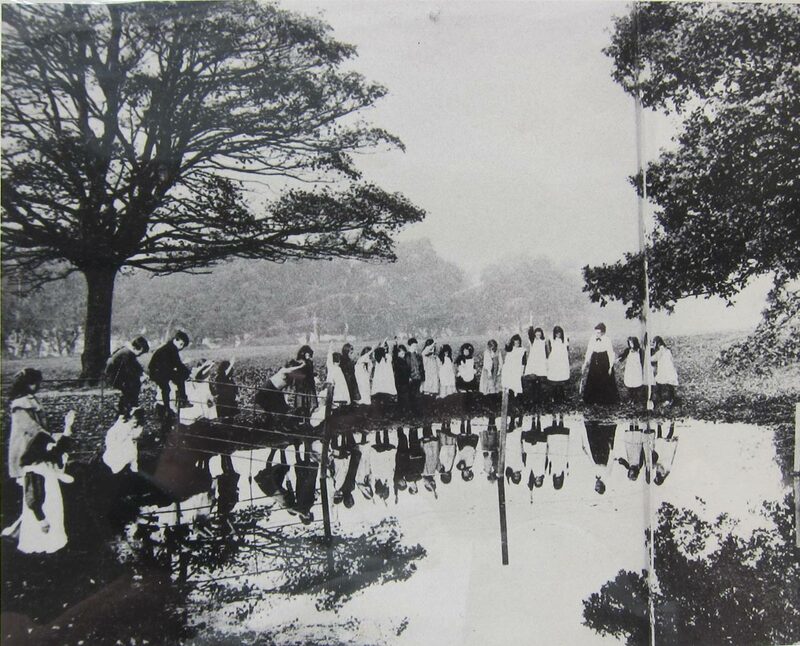 I’m looking forward to learning about the Open Air School which was the first such school opened by the LCC in 1908 and based in Shrewsbury Park. David Lloyd Bathe’s “Steeped in History” describes the school, and includes a number of photographs of it such as the one below from the Greenwich Heritage Centre. Some of the pictures are of wooden buildings that formed part of the school. It’d be interesting to know where they were located. And where in Shrewsbury Park was Colonel Bagnold’s Bronze Age barrow number 6? 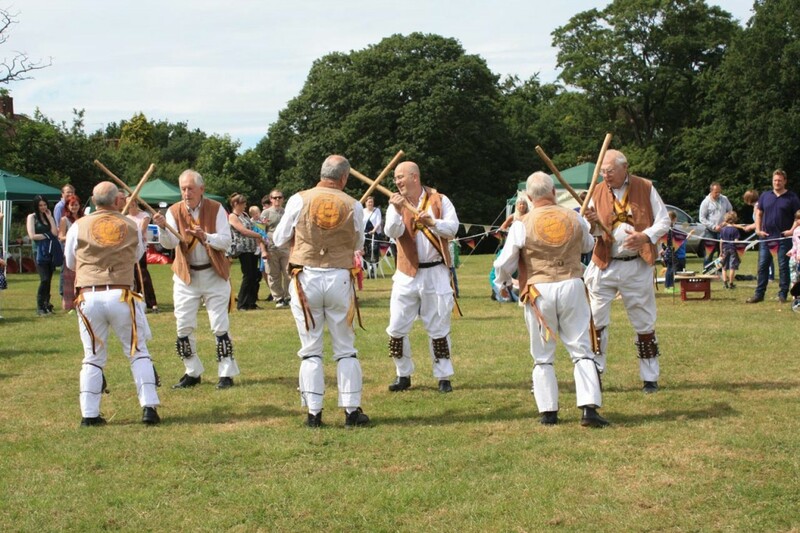 As part of the Parksfest 2015 celebrations Friends of Eaglesfield Park would like to invite everyone to Eaglesfield Park on Sunday 12th July between 2.00 pm and 5.00 pm to relax to the sunny music of Brazilian/ Latin band ‘Roots BR’ and see a display of Tai Chi with Chew-Yeen Lawes – and maybe even learn a few moves! The aim of the afternoon is simply relaxation and well being. Learn how to improve our lives with the techniques of Tai Chi. Take time out to enjoy the company of friends, family and neighbours. Listen to the rhythms of Brazilian/Latin music. 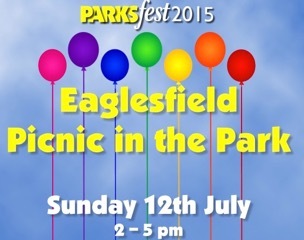 Experience the peace and tranquillity of Eaglesfield Park. So, why not forget about cooking Sunday Lunch and instead bring a picnic and comfy chair, and chill out for a couple of hours! But don’t forget the sun lotion. For the more energetic, you could also try Pond Dipping – we have the basic equipment. Rediscover how the ancient martial art of Tai Chi can improve your life focus and restore calm and balance. No special equipment is required to join them. All it takes is your body and a willingness to learn. Throughout the afternoon there will also be opportunities for Pond Dipping – come and see what you can discover. We have basic equipment and reference guides. I’m looking forward to learning some Tai Chi in the park. Let’s hope the weather stays fine.